THIS SATURDAY! Community-Wide Tag Sale. See link to map for locations.PLUS TONIGHT! 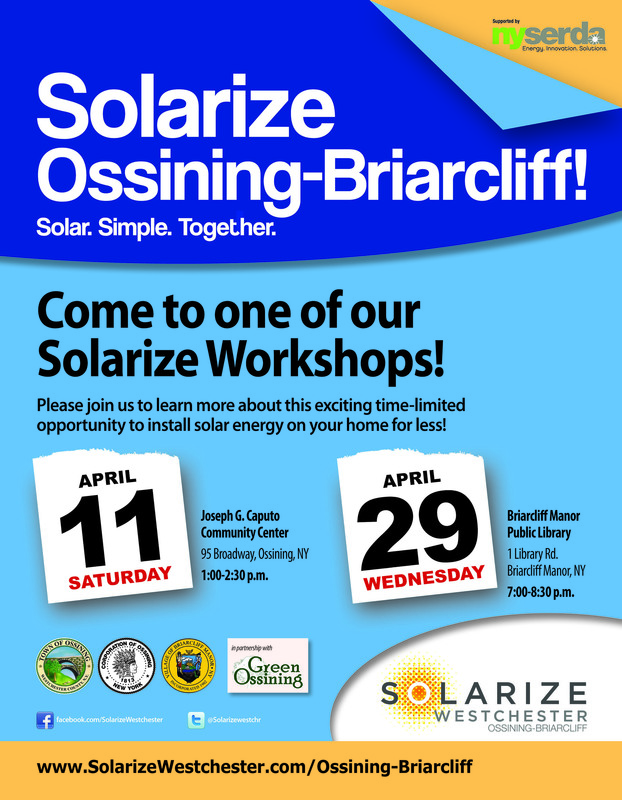 Don’t miss the Solarize Community Meeting! PLUS PLUS: Register for the Riverkeeper Sweep/Stash the Trash. 1. 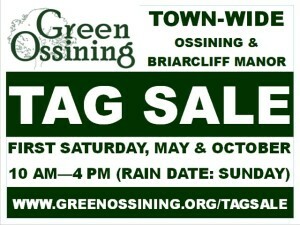 The Green Ossining Community-Wide Tag Sale is this Saturday from 10a-4pm! Check out our map for participating residences. THINKING YOU MAY STILL WANT TO REGISTER? We’ve extended registration until today (4/29) , so sign up and join your neighbors in clearing out the clutter! For $20, you get a sign to put up on your property, a link to your address and what goods you’re selling on our Google map, advertising in local and social media, and a spotlight on your sale in our Facebook group (especially if you have a big-ticket item you’d like to highlight). To register or to view the current map, visit http://www.greenossining.org/tagsale/ (subject to change, so make sure you check the map before leaving the house on Saturday for the latest). Also join our Facebook groupat https://www.facebook.com/groups/1550492371881113/. 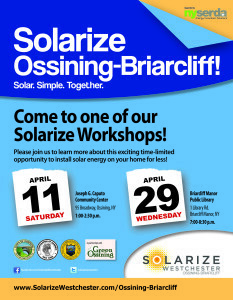 The Solarize Ossining-Briarcliff Residential Community Meeting (4/29), Registration for the May 2nd Community-Wide Tag Sale & Deadline, and Registration for the Riverkeeper Sweep! 3.The 4th Annual Riverkeeper Sweep on May 9th is about a day of service for the Hudson River. Over 2,000 volunteers from Albany to Brooklyn removed 31 TONS of trash from 82 different location last year. Lets keep working toward reclaiming the Hudson River from polluters. Register at any site you like at the link below, and in Ossining there will be Sweep Leaders at both the Caputo Community Center, and at Engel Waterfront Park. http://www.riverkeeper.org/news-events/events/rvk-events/sweep2015/ AND…the we continue the day of community clean-up by partnering with our Parks & Recreation Department for the annual STASH-THE-TRASH event. Interested in particpating? Got a group that this is perfect for? For more information and to register please call the Parks & Recreation Department at :914-941-3189. GET OUT AND PARTICIPATE! Where does one acquire a map showing participating tag sale locations? It will be posted back at this site shortly!